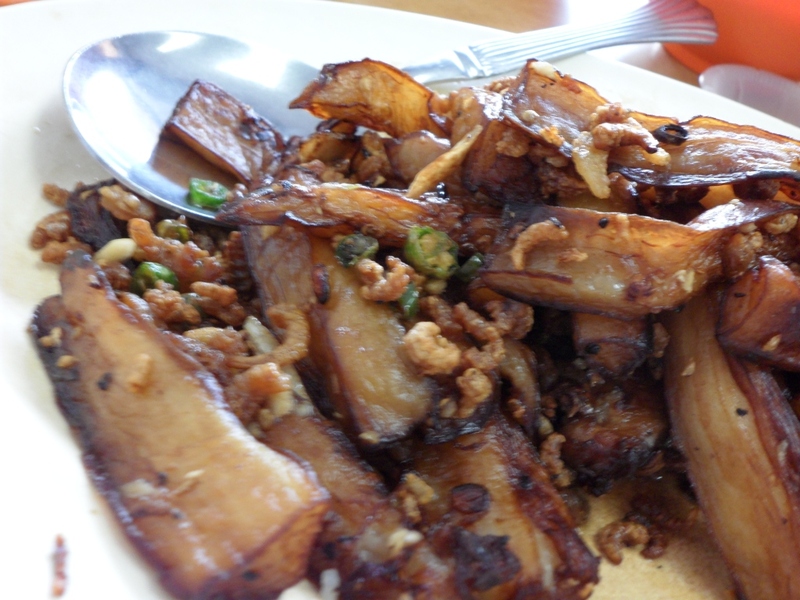 The weather is so hot lately that I was half tempted to head to Gohtong Jaya just for lunch. You can enjoy relatively nice cooling breeze there as Gohtong Jaya is halfway up to Genting Highlands. Sometimes at night, it can go down to about 12~14 degree (especially when it rains). 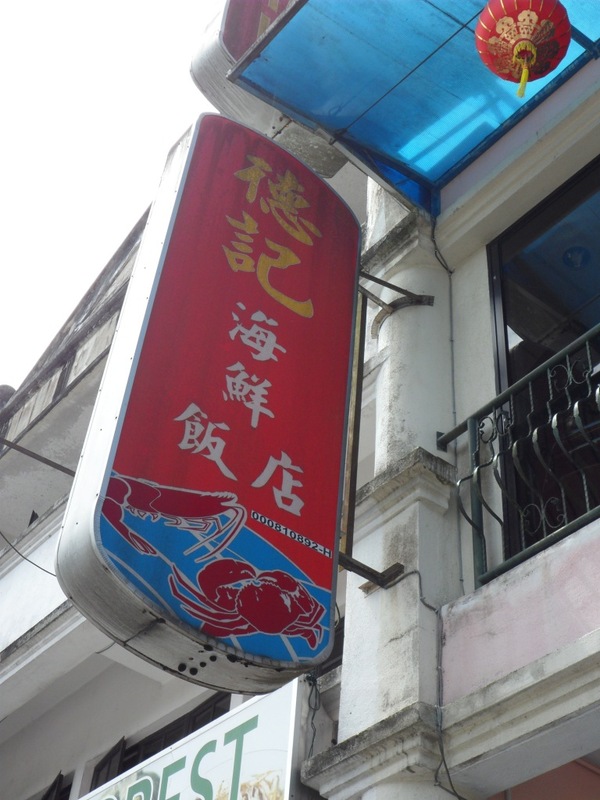 Tak Kee is one of hub’s and our friends’ favourite place to eat in Gohtong Jaya. Crispy Pork in thick sauce. 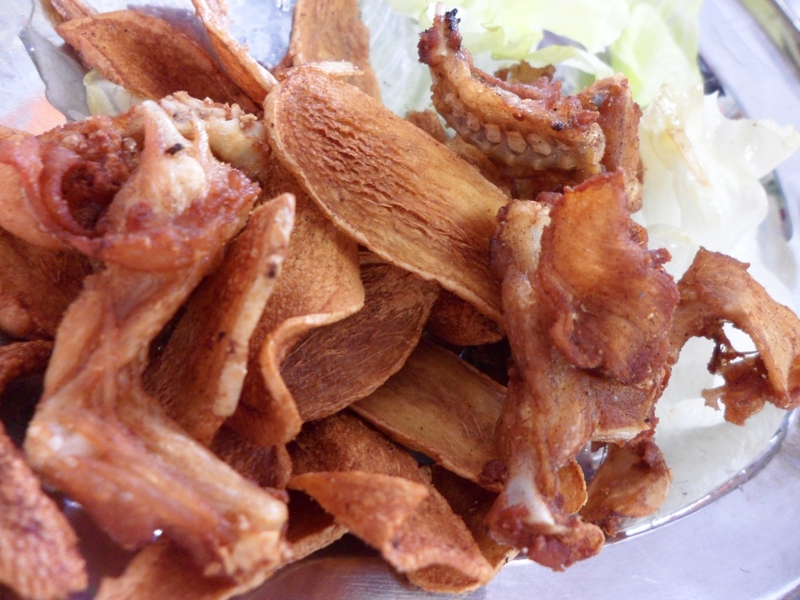 The pork is sliced thinly and fried until crispy. 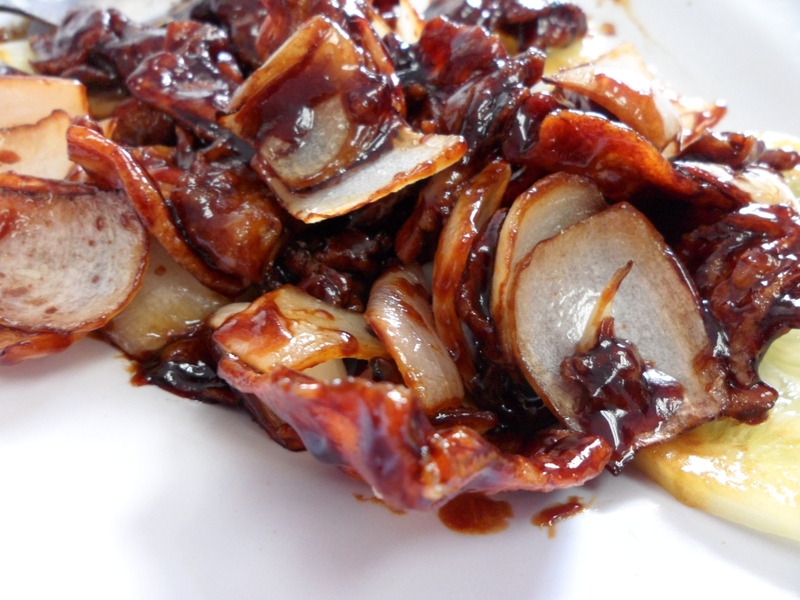 Then, stir fry with caramelized black sauce until it gives the pork a thin sticky layer. Yumzz… Usually, we (group of about 6 person) can easily finish 2 orders of this!!! 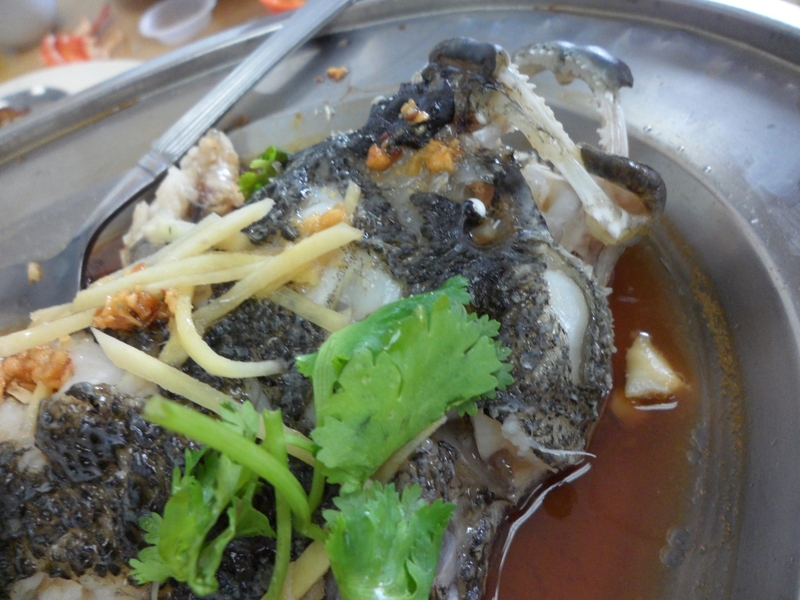 Steam Soon Hock (Marbled Goby) with soya sauce. It’s very fresh because most of the Soon Hock in Genting is alive (i.e. swimming in the tank before being consumed). I heard that there’s a pond in Genting which rear this particular fish. The last time we had it (which is around end 2011) it was priced at about RM 120/kg. I think the fish we had was about 1.5 kg or slightly less than that. 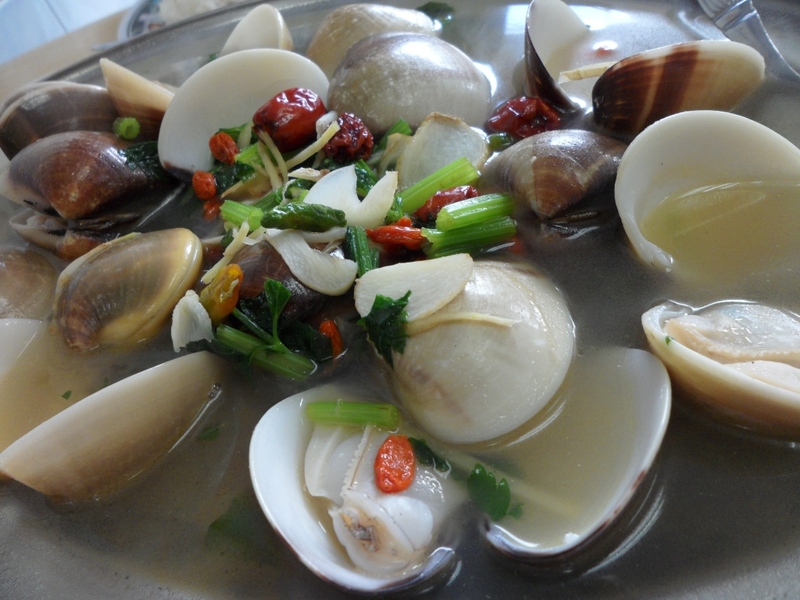 Lala (clam) in superior soup. The lala was really fresh and plump (It’s not the normal flat small type… kind of remind me of the Aussie’s pipi). Personally, I find this is the best way to prepare fresh lala. Any other way always seems to cover the fresh lala taste and you end up eating the sauce instead. 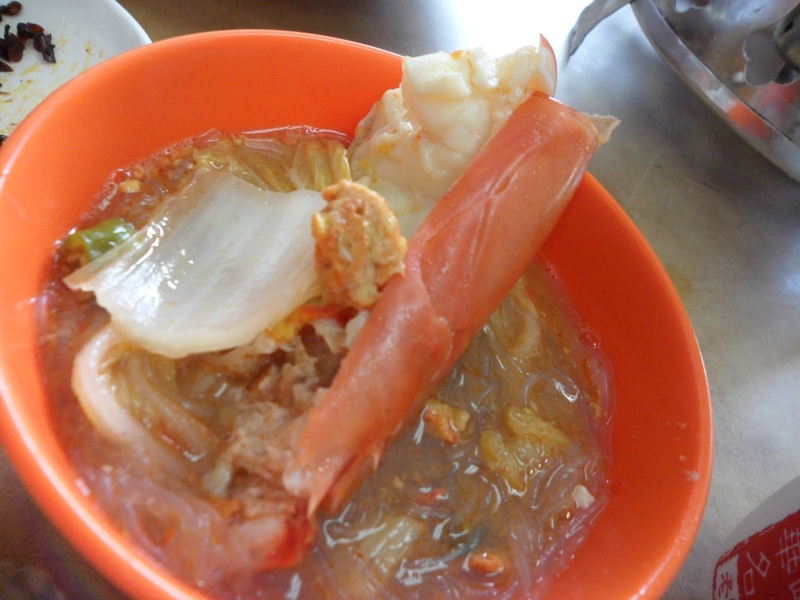 Claypot Druken Prawn in Glass Noodle. All time favourite whenever we are in Tak Kee. The prawns are always fresh and it really helps to heat up your body from the tons of wine and ginger they used. Lucky the weather is so nice and cooling there. I can’t imagine eating this somewhere hot. Probably sweat like mad. 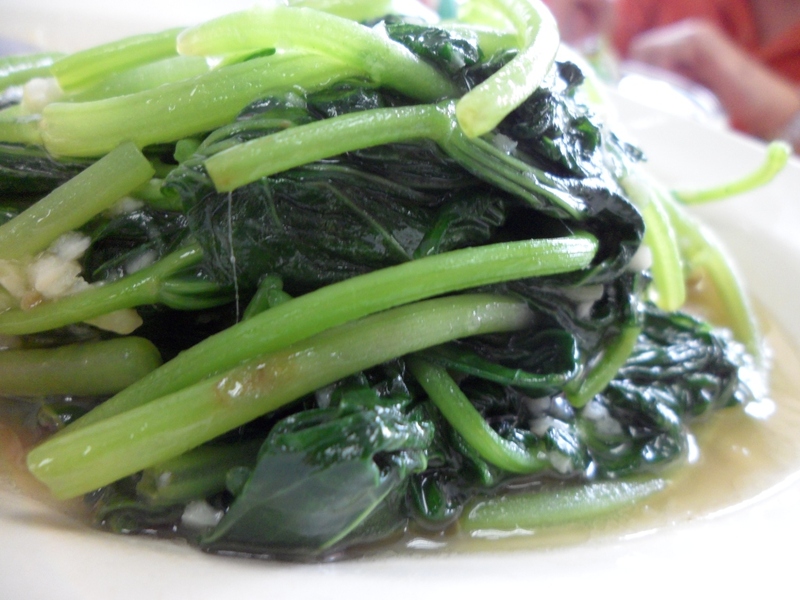 Stir Fry Potato leaves. Normal dish. Nothing to rave about. But, feel the need to have at least one plate of green after all the ‘fatty’ food we eat. Wow.. the 6 of us actually finish all these and double portion of the crispy pork somemore. Scary. We shall makan there I go back ok? Can’t wait to see you again. Hugzzzz….